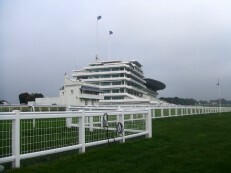 Welcome to one of the most famous sporting venues in the world – Epsom Racecourse – home of The Derby. Located on the beautiful Downs and acknowledged as the spiritual home of racing, Epsom is a magical backdrop for inspirational performances and memorable occasions. Since it’s £38 million, three year redevelopment programme, Epsom is now a truly iconic sporting arena providing you with the unique opportunity to entertain your guests in unparalleled surroundings.